"Matt-san" came the voice again. I ignored it, aware that I was dreaming. "Do you kNow where... icanfind any sailors?" It was a broken American accent with no concept of where to pause or place emphasis. "Ryo, is that you?" I replied, now conscious of being sat on a fork-lift truck, solitary, floating in darkness. "I’m sorry" I pleaded. "I intended on playing lots of Dreamcast games when I bought the console last year, but lots of other things came up". Images of Red Dead Redemption, Mass Effect 2 and Assassin's Creed Brotherhood flashed before my eyes. "You must help me avenge my Father'" came his stern retort. "Sailors" he whispered, to no one in particular. Before I had the chance to reply, he was gone. And I was awake, imbued with a new sense of purpose. I would hook up my Dreamcast and finally start Shenmue. We all have gaps in our gaming library. A title passes us by and before we know it we are onto a new generation, too busy playing our contemporary games to lavish attention on acclaimed relics, especially when they haven’t been given the HD, downloadable make-over. Most of my absent classics are Nintendo, and to this day my eyes glaze over when friends reminisce about Mario or Zelda. But the most glaring omission, one that has been troubling me for some time, is Shenmue. For years I have listened keenly to gamers wax lyrical about Yu Suzuki’s ahead-of-its-time adventure. Trying to keep pace and save face I often resorted to my lone Shenmue fact to try to legitimize my presence in any Shenmue conversation – "Good point, but did you know that Suzuki initially envisioned Shenmue as a Virtual Fighter origins story?" Once I had blurted out that little gem, I would try my hardest to steer the conversation back to Metal Gear Solid, Uncharted or some other shared experience. I finally bought a Dreamcast last spring, about 10 years later than I should. 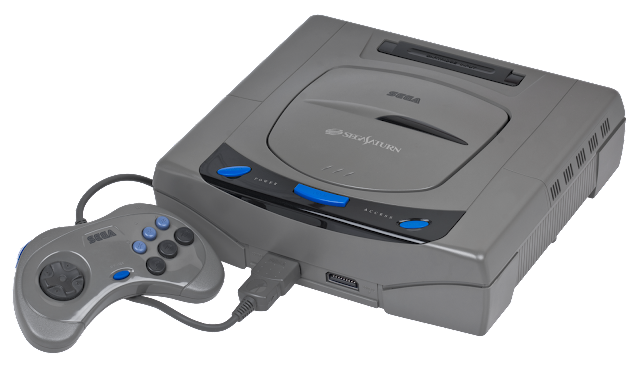 SEGA had screwed me in the late nineties, deciding to discontinue the Saturn shortly after I had committed to it valuable birthdays, Christmases and pocket money. Feeling hard done by, I sold my beloved Saturn, shunned the Dreamcast, bought a PlayStation and never looked back. That all changed in spring 2010 when I bought a second-hand DC along with the games I needed to play catch-up. Shenmue 1 & 2 were my top priority and I soon found them as a reasonably priced pair, though still costing triple what I had paid for the console and trimmings. Like so many of my retro purchases, my DC and games soon went into hibernation, only making the occasional appearance when, once in a blue moon, I fancied dipping into Jet Set Radio or Space Channel Five. My planned Shenmue marathon was forever being put on hold, relegated in favour of an ever growing pile of current generation titles, with their pretty graphics and shiny trophies. The recent release of Shenmue Gai was a gentle reminder of what was patiently waiting on the shelf, looking for its one chance to shine. "Put me in coach, I'll try ever so hard". So I did, but I wondered if I could I hope to fully appreciate it, or any other piece of gaming vintage for that matter, playing for the first time so long after release. Would the engrossing narrative and deep gameplay shine through the dated graphics, typical SEGA voice acting and awkward controls? I managed to answer some of those questions, getting through three in-game days before succumbing to the urge to write about it, and I’m afraid to say, play something else. December 3rd 1986 was my first day in the shoes of Ryo Hazuki. A significant day, but not quite on par with “That Day”, a day so eventful and tragic that the inhabitants of Yokosuka simply refer to that day as "that day" with no risk of confusion as to which day in particular they are referring. That day? It is the day from which all else in Shenmue derives. Spending my first session trying to gather clues regarding the murder of Ryo's father, I was both relieved to finally be playing and enjoying Shenmue, yet disappointed that it would never be for me what it had been for those who had played it first 11 years ago. 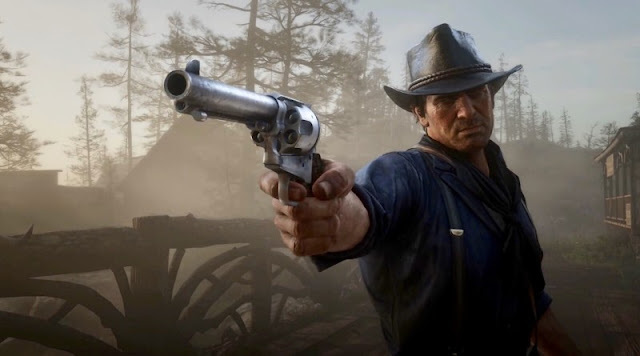 What immediately shone through is that it was well ahead of its time, having many of the features that define modern narrative-driven games of today, yet it does not seem to have aged well. The execution of its "modern" features is missing that extra level of polish we demand from our AAA titles today. This is not surprising considering its age, but it makes the story, generally regarded as one of its greatest strengths, that much less immersive. Stylistically, Shenmue jumps out as being very late Nineties SEGA. I was instantly won over by the flair and colour of the DC, demonstrating the innovation that made SEGA such a great loss to the console market. However, it is also cursed by the appalling voice acting and dialogue of its stable mates. What adds to the kitsch and remains entertaining in House of the Dead works against Shenmue, making it difficult to take seriously and dating it where the graphics and concept still feel fresh. Are we so much more discerning today, or was the dialogue as terrible then as it appears now? I suppose some of the hilarious scripting is down to a haphazard translation, but the god awful voice acting is harder to explain away, not to mention the racial stereotyping that only a Japanese title could produce. However much I try to get past it, the dialogue has had by far the most detrimental effect on an experience I wanted to enjoy so much more. Staying with the voice track, however un-natural it may be, the sheer volume of recorded dialogue still astounds. Virtually everyone has something audible to say, no matter how moronic and pigeon-English it may be, a story to tell that makes the people more real and the backstreets of Yokosuka come alive. Speaking of the setting, I was surprised how well it captures the look and feel of the non-descript back streets of suburban, Greater Tokyo. From the tiny park, to the local store through to the seedy bars and smoky arcades, it is the unattractive yet strangely appealing streets of suburban Japan, through and through. The detail is astounding, visible in the gatcha-gatcha toy vending machines, shop facades and the middle aged drunkards who appear out of thin air to litter the streets as soon as the clock hits 7pm, a nightly ritual in Tokyo by which I once set my watch. Being a sucker for throw-away extras, I wasted no time in heading to the arcade to play full versions of a number of eighties SEGA classics. I’m not sure how playing Space Harrier and Super Hang On help to solve a murder, any more than five finger fillet brought John Marston closer to reuniting with his family, but its certainly more entertaining than probing locals for clues about the whereabouts of sailors and Chinese people. Eleven years on, and Shenmue still impresses, and by experiencing this moment in gaming history first hand, no matter how minute that sample, I feel like a weight has been lifted. This was perhaps what I most hoped to achieve by giving it a whirl - a misguided sense of duty to at least try what had passed me by. I recognise in Shenmue so many features that I enjoy in contemporary games, such as the freedom afforded by GTA IV, the numerous lives and stories made audible in games like Dragon Age Origins or the minute, and often mundane details of Japanese city life found in Yakuza 3, the series that most resembles Shenmue in both spirit and appearance. It is not difficult to appreciate how impressive Shenmue must have been, but experiencing it now, without the rose-tinted glasses, I'm struggling to see it through. I can’t escape the feeling of disappointment that often accompanies any experience long postponed and so well hyped. When we miss a game initially, are we forever doomed never to truly appreciate it? Should I bother sampling Zelda for the first time so far removed from its heralded debut, or finally get into the Halo series 10 years too late? Games just don’t seem to age as well as other comparable media, or at least I'm not as patient with them. I try to imagine myself playing Shenmue back in 2000, how I would have been wowed by its sheer ambition and innovation. But then it’s back to reality and I begin to loose interest, eventually moving onto something else. Most likely my increasingly short attention span is as much to blame as the ravages of time, spoiled by the instant gratification of modern games. If I can persevere with Shenmue perhaps it will engross me like it has so many other gamers. But for now at least, I'd rather just fire up my PS3 and play Yakuza 3, content that the next time friends are discussing Shenmue I'll be able to keep pace for a little bit longer. The answer here might be with what you ended up doing. Play the modern games most inspired by the classics. The Yakuza series is a very fine continuation of the Shenmue philosophy, and luckily for you, the Zelda series has changed only incrementally over the years. Play Twilight Princess and you will be in on almost every Zelda in-joke and conversation. Especially since those games are so self-referential anyway. Sadly, I think it was the move to 3d that makes these games so dated. Classic 8 and 16-bit games are just as fun as they were when we were kids, but try playing the original Tomb Raider again sometime. Gro-dy. I think you are right, especially with Yakuza. Yes, early 3D games are a bit of an eye-sore and retain none of the charm of 2D, unfortunately.